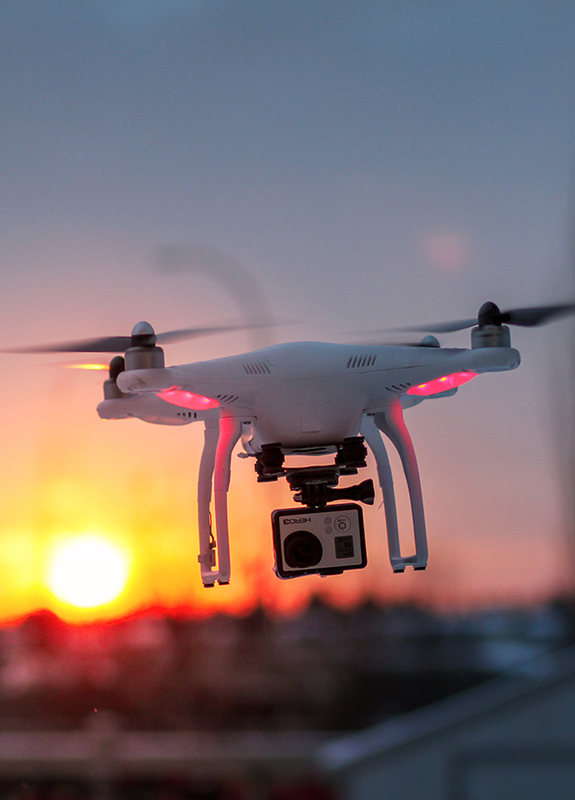 HMP now uses the assistance of Drones. HMP Home Inspections is excited to announce new technology for 2016 and beyond. HMP will now be using the DJI Phantom 2 with a high resolution camera with video capability to help inspect difficult areas such as fragile roof systems and tall structures. Videos demonstrating the benefits of drone inspections coming soon! Why use a Drone for a home inspection? With a drone, HMP can fly to the object we need to inspect and view it in real time, in high definition, as if the object were directly in front of us. This is extremely useful for difficult areas and roof systems that may not be able to hold the weight of a person while being inspected. Walking on a roof may cause damage to certain roofing materials, and certain types of roofs cannot be walked on at all. The most commonly used roofing material is asphalt shingles, which should not be consistently walked on. In cold and hot weather conditions, the shingles are much more susceptible to damage, and drones allow HMP to view the roof without having any of these issues, along with providing greater safety, and allowing the client to see the roof system remotely as well. Using a Drone allows HMP to perform a fast, thorough, and efficient inspection in a safe way, without having the downfalls that come with traditional methods of roof inspections!